Moto C Plus is expected to come with a 5-inch HD display and is powered by a 1.3 GHz MediaTek MT6737 chip and a Mali-T720 GPU. Lenovo, the parent company of Motorola is planning to launch the Moto C Plus, this budget offering is expected to compete with the Xiaomi Redmi 4 and Redmi 4A. 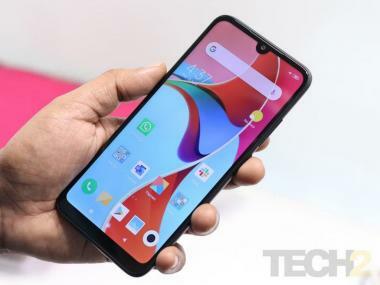 Motorola will launch the device at the launch event in Delhi. The Moto C Plus launch event starts at 12 noon on 19 June, 2017. The company will be live streaming the event on YouTube along with tweets on its official handle. The Moto C was launch in India at a price of Rs 5,999, the price of the Moto C Plus is unknown, but it’s expected to be in the Rs 8,000 to Rs 10,000 range. The C Plus is expected to come with a 5-inch HD display and is powered by a 1.3 GHz MediaTek MT6737 chip and a Mali-T720 GPU. You can expect to choose between a variant with 1 GB RAM or 2 GB RAM. We’d recommend the latter. Internal storage will be limited to 16 GB, but apparently, it can be expanded by up to 32 GB via a microSD card. The smartphone is expected to run Android 7.0 Nougat out of the box. In the camera department, you get an 8 MP f/2.2 rear camera and a 2 MP f/2.8 front camera. The phone supports 4G. A 4,000 mAh battery will provide the juice to keep the phone running. The device will run Android 7.0 Nougat. The phone will be available in Metallic Cherry Pearl White, Fine Gold and Starry Black colours. The device is a Flipkart-exclusive and will not be available on any other online retail platform.